Why not jazz up your next party or event with an awesome dance floor from Hire King!! We have some of the newest technologies in portable dance floors. These black and white US made dance floors are sure to impress. Hire King is your one stop shop for top quality Dance floor Hire in Perth. 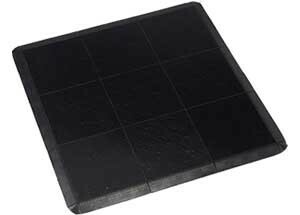 Each tile is 1ft x 1ft and is made from a strong plastic at the bottom with a shiny black and white finish on the top. This means that it can handle wet surfaces and drainage without any fuss. The floors come with an attractive edging ensuring that your guests do not trip. If you wish to use these dance floors on grass or other soft surface an additional underlay floor will need to be put down. While the dance floors have some anti-slip protection they will become slippery if they are wet. 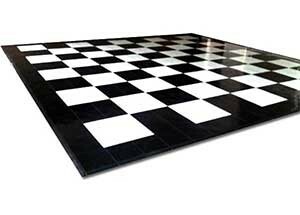 The dance floor can come in either black and white (the classic chessboard effect), just black or just white. Whatever you like! All our dance floors come in tiles of 1ft x 1ft (approximately 30cm x 30cm), we hire these out in a panel of 3 tiles x 3 tiles which measures approximately 90cm x 90cm. Edging on both sides also adds approx 12cm to the dance floor. Our most popular sizes are 4 panels x 4 panels (about 14m2) and 5 panels x 5 panels (about 22m2). 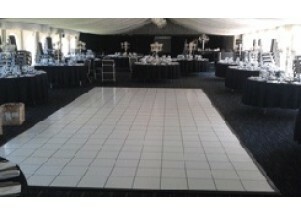 We hold one of the largest inventories of black and white dance floor in Perth and can accomodate just about any size requirement. Just add the product "Custom Size Dance Floor" to your cart and we will get back to you with a quote. If you are hiring other equipment with the dance floor we can usually also do an excellent package deal. Remember that each dance floor panel is about 90cm x 90cm. The dance floors are very easy to setup and have a simple locking system that locks the tiles together. You can setup the dance floors yourself (we provide instructions) or we can set it up for you for an extra charge. Have a look at some of the uses of our dancefloors. Click add to quote and choose your desired colour (black and white, all black or all white) and size. We can do just about any size. Dance floor with area of approx 8.2m2. Dance floor will measure approx 2.9m x 2.9m. Dance floor with area of approx 14.3m2. Dance floor will measure approx 3.8m x 3.8m. Dance floor with area of approx 22m2. Dance floor will measure approx 4.7m x 4.7m. If you plan to use the dance floor on grass you will need to put down an underlay before putting the dance floor. Click add to quote and select the size of dance floor you need, a quote will be provided based on size. The underlay will protect your grass as well as provide a smooth surface for the dance floor to sit on. The underlay is a light weight plastic material which creates a suitable surface to lay the dance floor on. The underlay can be installed on natural or synthetic grass. You can install the underlay yourself (it is very easy to do) or we can provide delivery and setup services (for an extra charge). The image on the left shows the underlay and dance floor mid-installation. Please note that the underlay cost is generally an additional 50% on top of a standard dance floor hire. All dance floors being used on grass surfaces also attract a $100 extra cleaning fee.